The luxury toilet roll holder is a simple but well made product, designed and manufactured by leading accessories brand Euroshower. Steel construction finished in a high quality chrome plate this product is great value for money. I searched around for quite some time for a replacement toilet roll holder and finally settled on this model. It arrived quickly and was easy to fit. I've never replaced a toilet roll holder before. It looks much nicer than the photo and feels solid. I wouldn't hesitate to recommend. 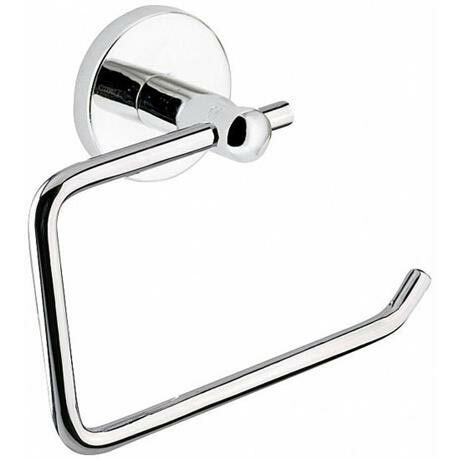 Goo toilet roll holder, strong, suits that appearances and very cheap. This was very easy to install and looks classic and nice. Would highly recommend! Its a toilet roll holder that holds toiler roll. Job done! Easy to fit this very functional holder. Neat an unobtrusive.